Suppandi one of the most popular comic characters is set to teach you an important lesson about financial planning and investment in new video series. This video series is started by Tata Mutual Fund in collaboration with Tinkle Digest as an investor education initiative. Under this initiative total, 5 different videos are made explaining various topics related to finance. All these videos are featuring Suppandi along with Professor Simply Simple. These videos are available in six different languages English, Hindi, Kannada, Bengali, Tamil, and Gujarati. Each video is unique and explaining about a different concept of mutual fund, inflation, equity, debt, retirement etc. In each video, Professor Simply Simple explains a financial concept to suppandi in a simple manner. In this video, it is shown that Suppandi and Professor visit Theater for watching a movie. Before starting the movie professor explains important lessons about inflation to Suppandi. He explains how increasing inflation is affecting common man and how investment and financial planning will help to overcome the effect of inflation. The power of Compounding will help you to generate a lot of wealth. Professor explains this fact to suppandi with the simple and interesting story of the king. Professor explains suppandi about equity and debt market concept with the example of Ideal Pizza share. He also explains about investment in mutual fund. The Professor explains to Suppandi along with Mr. Bijlee, what Mutual Funds are and how they are different from investing in equities directly. They explain mutual funds are professionally managed investment portfolios made up of multiple stocks. Watch this exciting video to know more. 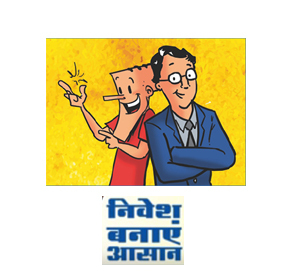 The Professor helps Suppandi to understand how he can handle the 30-30 challenge in life through an interesting story of the Grasshopper & Ant. He explains how every investment will pay more money. Watch this exciting video to know more. Hope these video series of Suppandi will help you to understand finance in a better manner. Very nice and supportive video for wealth creation .